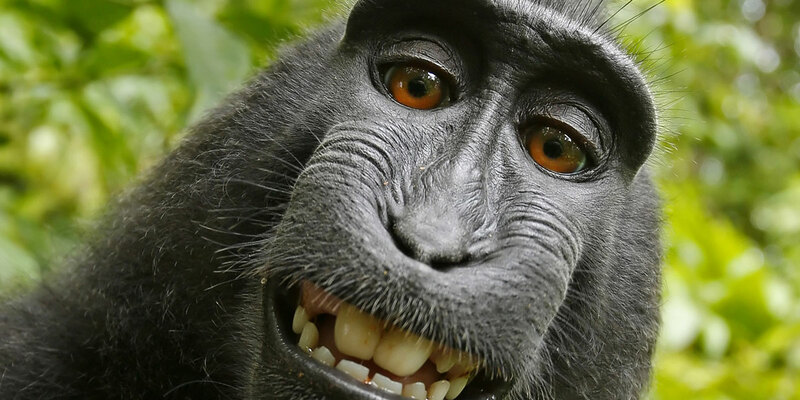 In mid-July 2011, technology news blog Techdirt featured an article that explored the copyright ambiguities that arose after a monkey took some amusing self-portraits. The monkey used a camera left out by photographer David Slater, who was working for Caters News Agency. Though the question of who—if anybody—owns the copyright is still up in the air, Caters News noticed the Techdirt post and asked editor Mike Masnick to remove the pictures. However, "who does or doesn't own the copyright" matters quite a lot, because only copyright owners or their agents should be sending takedown notices. Caters just doesn't get it. Techdirt used the photographs in a transformative manner, clearly protected by the fair use doctrine. Because this copyright threat was so absurd on so many levels, it deserves a space in our Takedown Hall of Shame.